India today successfully test-fired its nuclear capable surface-to-surface ballistic missile Agni-5 – the most advanced missile in the Agni series with a strike range of over 5000 kms — from a test range off Odisha coast. Successful test-firing of Agni V from a canister makes the missile a prized asset for our forces. I salute our scientists for their efforts. 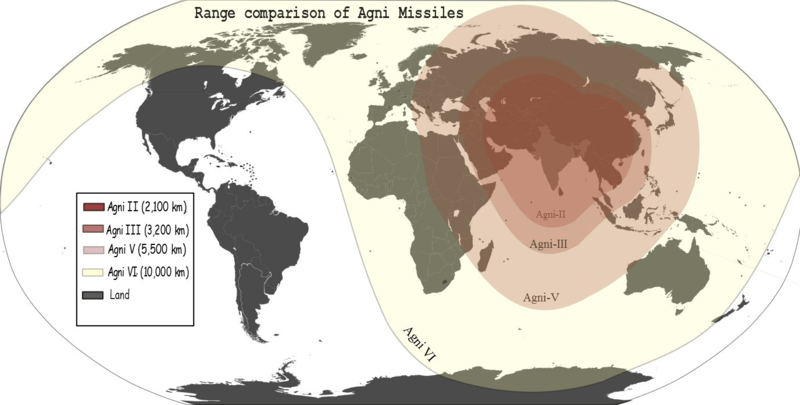 ‘Agni-5’ is most advanced missile in the Agni series with new technologies incorporated in it in terms of navigation and guidance, warhead and engine. It has a range of over 5000 km. “The high speed on board computer and fault tolerant software along with robust and reliable bus guided the missile flawlessly,” said an official of Defence Research and Development Organization (DRDO).